With six unique floor plans, featuring 73 apartments, there is something for everyone. Whether you are looking for a one or two-bedroom home, Timber Ridge will meet your needs. At Timber Ridge, you will experience big city amenities for a fraction of the price with rents starting at $850 per month. Timber Ridge Luxury Apartments feature high-end contemporary finishes and open floorplans, so you can feel like it was designed just for you. Kitchens are skillfully constructed with granite countertops, stainless steel appliances, tile backsplashes, and custom cabinetry. Residents will also enjoy nine-foot ceilings and oversized windows, with roller shades, lending to a bright and open living space. In addition, the apartments feature wood plank flooring in the kitchen and living areas, designer carpet in the bedrooms, and Energy Star certified washer and dryer in every apartment. Most apartments will have screened in balconies, perfect for enjoying some time outside! Timber Ridge has a variety of amenities that appeal to a diverse group of residents from experienced renters to those who are new to apartment life. Residents can enjoy the community room featuring a full kitchen, seating areas, a large gathering table, and space to relax in front of a fireplace. If you would rather gather outside, there is an outdoor patio with a grill and fire pit. For those of you who enjoy the finer things in life, there are other community amenities to take advantage of including a massage chair room, a package concierge system, and covered parking in a detached garage. For pet owners, Timber Ridge is an ideal community to call home. Surrounding greenspace and nearby trails provide an ideal space for your pet to run and play without having to leave the neighborhood. There is also a pet spa available for those spoiled pets who love to be pampered. Timber Ridge is an exciting new community that appeals to a wide variety of renters. Summit Management’s professional Property Management and Maintenance team will make residents feel right at home. “It’s got a little different makeup – older residents who are interested in a transition from their traditional home to those who are moving into their first apartment that’s nice, luxurious, maintenance free and still near the neighborhoods they grew up or lived in,” Lambert said. He found that there’s a need in Forest Lake for the type of housing that Timber Ridge provides. In addition to Timber Ridge, Lambert’s Stillwater Minnesota based company owns and manages several properties throughout the state of Minnesota. 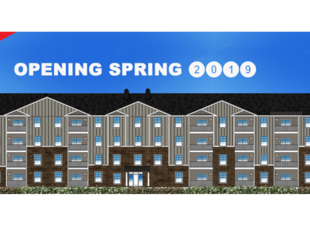 From student housing, luxury apartments manufactured home communities, and a local lake resort, their focus is on providing residents with affordable housing in great communities.